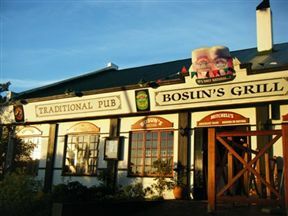 Knysnarians know about good watering holes and you'll certainly find plenty of them at the vibey Bosun's Pub and Grill, lips curled around a frosty or tucking into a hearty meal. This old style English pub serves locally brewed ale and value-for-money scrumptious pub grub! You'll find all the local Mitchell‘s Brewery products here – on tap and bottled, ranging from Bosun‘s Bitter, Foresters and the new Mitchell‘s Gold. So get down there and sluk a pint or two in this comfy, cosy pub and be warmed by the great atmosphere and friendly people. 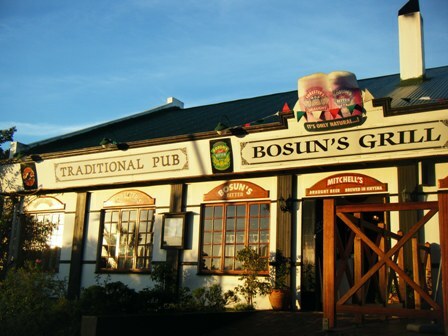 Bosun's Pub and Grill is 2.6km from the centre of Knysna , the nearest airport 76.5km (George Airport).